2016 is the year in which Responsive CSS framework is highly on demand by the html programmer. Certainly the most famous and used by many people at the moment is bootstrap framework. Bootstrap framework has a very complete feature, but not all web developers using all components on the bootstrap framework. So using bootstrap framework quite heavy to work on browsers. Those problems led the developers competing to create a new CSS framework that is smaller and lighter with proven components that are often used in web programmer. 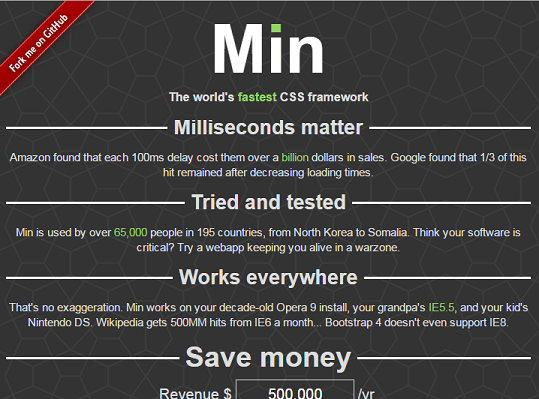 Min claimed as the most minimalist responsive CSS frameworks in the world. With large file less than 1 KB (995 bytes), min has a fairly complete features like grid system 12 columns, the default style for buttons, tables, navbar, posts, messages, and icons that are compatible with Android. Min claimed that using mincss will save $ 20,000 per year. 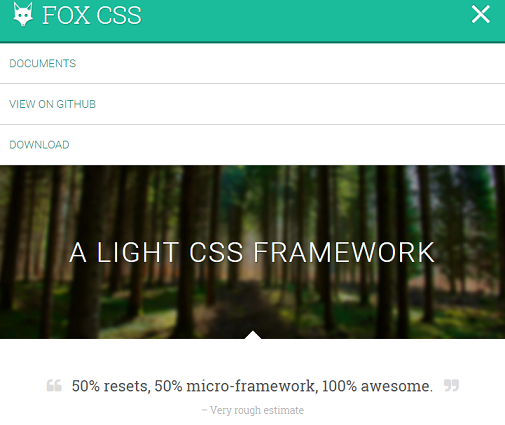 Fox CSS developed by Ronan Levesque while he realized most of the existing CSS framework does not fit with his needs. Therefore, Ronan develops his own framework which has features such as mobile’s first approach, supporting IE9 upwards, HTML5 ready, modular, efficient grid system. Fox developed using Sass. FOX is divided into several partial CSS, so you can use as your needs. 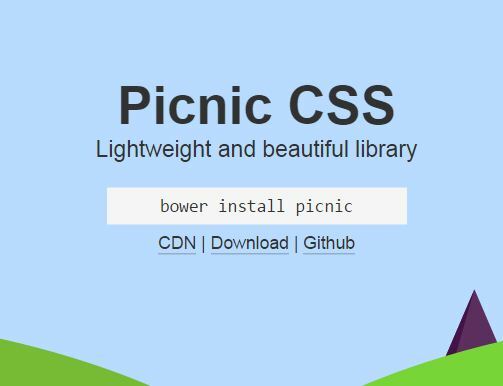 Picnic CSS is a responsive CSS framework that has a small size enough, less than 10KB. With the tiny size, Picnic CSS still gives an exquisite display. This framework also has a modular feature that lets us obtain the smaller size than normal size. 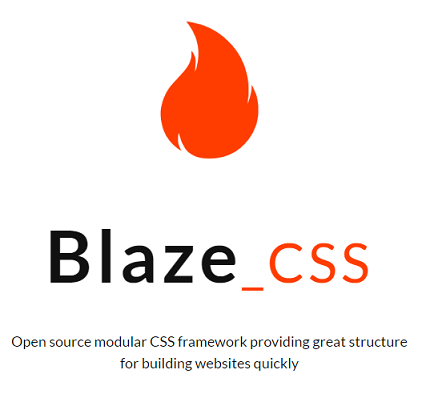 Blaze CSS has the modular features similar to picnic CSS. Despite having a very small size but can still be minimized if using only the required components only. This framework has a fairly complete major components and measures only less than 7 KB. This framework is designed to improve performance and productivity with fewer properties to produce code that is more stylish. 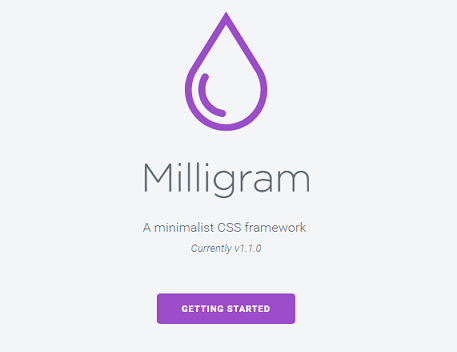 Some of the latest browsers like Chrome, Firefox, IE, Opera, and Safari are officially supported by Milligrams. Large-size 2 KB file only, but it has features that are very interesting. In addition the guide using the Milligram is very complete and easy to understand. The last list of responsive css Framework is Pure. Pure framework has the main target of mobile CSS, Pure developed by maintaining a very small size. Pure all components measuring less than 4KB. Pure can be used partially, so that we can be more efficient to use. 6 list of Responsive CSS framework that already discussed above, are there any who are interested to using it? I personally still love bootstrap framework. In addition to having a full-featured, many forums that discuss in detail. So if we stack is easier to find the solution. I have some articles and tutorials about bootstrap, if you need it please to check.